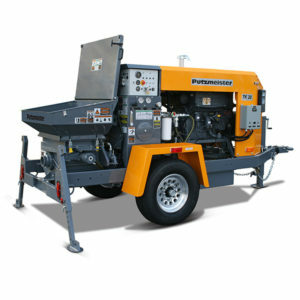 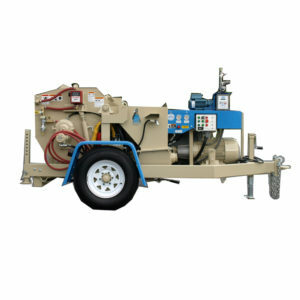 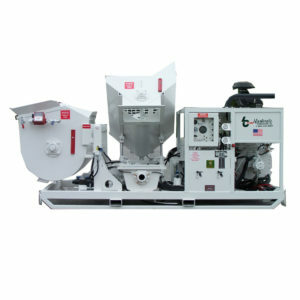 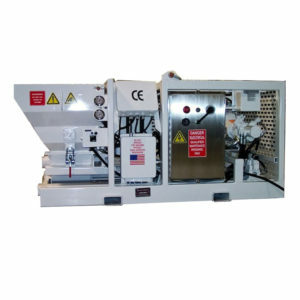 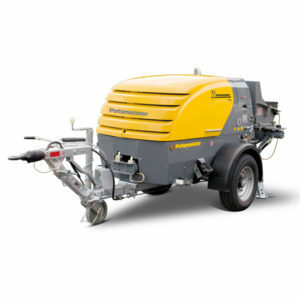 A range of Shotcrete machines are available which control the complete process of, typically, wet spray concrete, making the process very fast and easy. 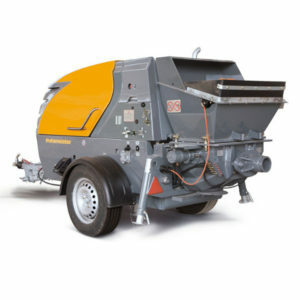 Wet sprayed concrete is traditionally applied by machine and our shotcrete machines can manage most pre-blended cementitious construction materials for a huge range of applications. 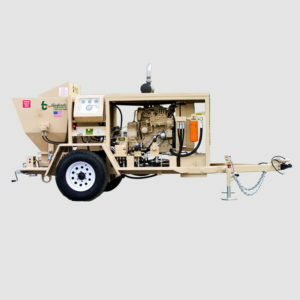 Shotcrete Machines are essential where there are high spray outputs and large cross-sections that require the work to be mechanised. 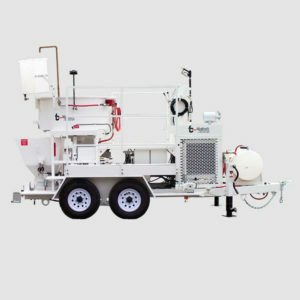 Unlike conventional concrete pumps, these systems have to meet the additional requirement of delivering a concrete flow that is as constant as possible, and therefore continuous, to guarantee homogeneous spray application.